I hope so since it is in less than 3 days. However, if you are like me you might still have a few things to get. I also let them pack the stockings. So I have to go by the store to get some stockings and a few small things to finish filing them. Luckily for me the wonderful people over at Amy Adele's offered me some great products to try out for them. And well I was smart and got for the stockings. These super cute personalized note cards for my daughter. She is just getting into writing letters to people and I thought these would be perfect for her. Bonus for me is that they are pink... one of her FAVORITE colors. 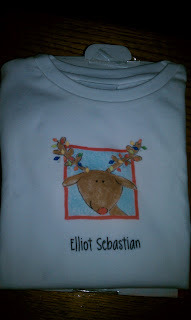 Also, for the "baby" they sent me this incredibly soft and cute t-shirt for the Christmas season. With it being short sleeves it is perfect for the southern Christmas season and will work wonderfully next year (since it is a little big) layered. 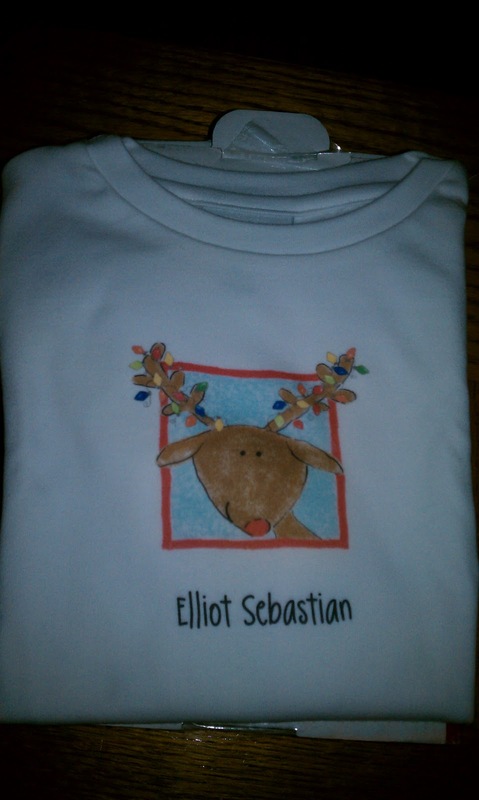 How cute is that reindeer? 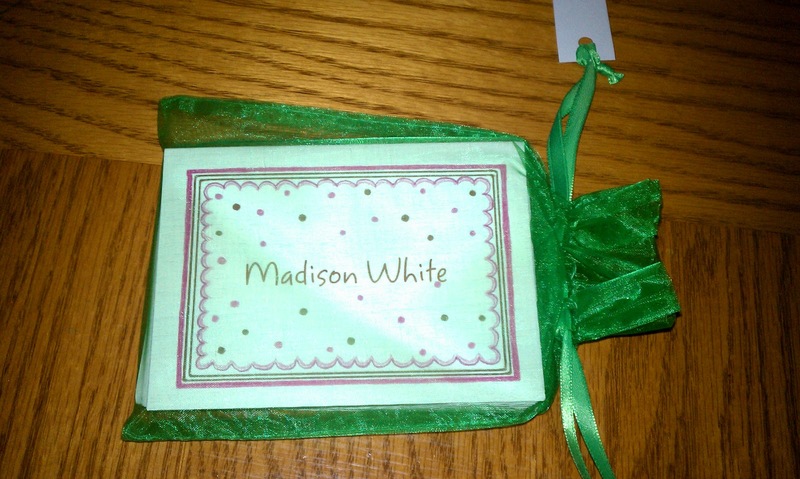 Amy Adele sells all kinds of cute personalized items for kids from note cards to t-shirts to stickers. Also, for us grown-ups they sell invitations, photo cards, moving announcements (which I will need soon) and these super cute direction cards. All the cards are made on 100% post-consumer recycled paper. Also, the envelopes and address labels. All of their shipping peanuts are bio-degradable and FDA approved. They are made from cornstarch so they dissolve in running water. Which you know I had to test that out and they do dissolve. Carter enjoyed putting them in the sink and watching them disappear.